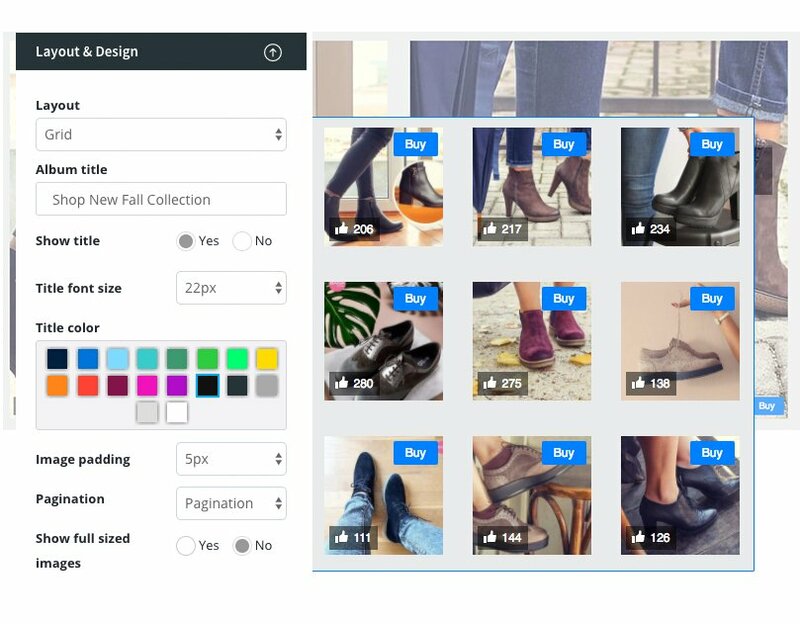 EmbedAlbum offers an interesting feature that can help users in just a few clicks to embed an entire Facebook or Instagram shop on their website. You can use a variety of options to customize the Instagram shop look and fit it to your website layout. You can continue to manage the shop everytime you add new photos on your Instagram or Facebook accounts and add custom buttons with a link to the photos.